Tinytags monitor the temperature of cool boxes to help validate procedures in a primary production testing laboratory. Recording temperature and analysing the data is essential for monitoring cool boxes to assess temperature fluctuations and to evaluate different transit methods. Tinytag data loggers are being used by a specialist independent primary production testing laboratory to help validate their procedures. Sci-Tech Laboratories uses eight Tinytag Transit 2 loggers to record cool box temperatures, to help ensure that no transit temperature effect is seen, and to assess different transit methods to see which are the most temperature-stable. Rob Harrison, Principal Consultant at RH Consultancy, recommended the Tinytags to Sci-Tech based on his experience of their quality, reputation and cost-effectiveness. Rob comments, "The Tinytag Explorer Software provides straightforward data which can be exported to other popular packages for further use if required. Tinytags do exactly what is required - they just work!" 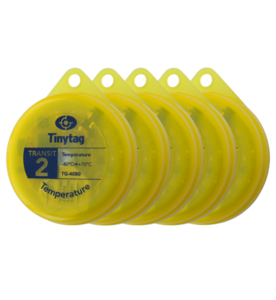 Monitor temperature during transportation with a Tinytag Transit 2 data logger.